Mare Barrow is a Red working to serve the Silvers in the palace. Mare is well aware of her station, and knows what life has in store for her. She doesn’t waste time on daydreams of princes coming to save her or anything – before she found her job, she was a pickpocket, earning money for her family before the day she knew would have to join the army to fight in the ongoing war. So while I can see the similarities to other stories, it absolutely wasn’t a deal breaker for me. Despite those similarities, Red Queen is an original story, and the more I read of Mare’s situation and the world she lives in, the more that became clear. While Mare won’t become a new favourite heroine for me, I liked her. She’s stubborn, she’s sarcastic and she’s feisty. She’s also impulsive, and sometimes both naive and foolish, but that made her more believable. The one thing I didn’t like about Mare was her reactions to the love interests. It’s not insta-love, but I felt almost like she was too easily led; I felt that at times she was both too quick to like a character, and at others like she was too quick to hate one. None of the other characters made a huge amount of impact on me unfortunately. I loved Mare’s family, but we don’t get to see an awful lot of them since Mare is based in the Palace. I didn’t find either of the Princes particularly compelling and aside from the Queen, a lot of the female characters in the palace felt a bit flat. 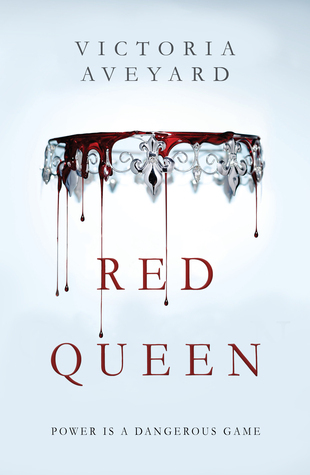 While I had some issues with Red Queen in terms of the characters, I thought the premise was great. I liked the politics, I’m intrigued by the Red/Silver genetics (although also a little wary), and I enjoyed the pacing – the book builds up steam as it goes on, so that towards the end you will not want to put it down. I’m a little undecided about the world-building – I’ve still got a lot of questions, but I’m hoping those will be resolved in the sequel. All in all, I enjoyed it, but book 2 will be determining how committed I am to the series. Buy it? I enjoyed this, but the sequel will really decide whether the story belongs on my shelves. A borrow for me. In a nutshell: An intriguing story that will sneak it’s claws into you the more you read. Ana @ Read Me Away recently posted…Valentine’s Day with Ana & Dee: Book boyfriends, a giveaway, and dates!